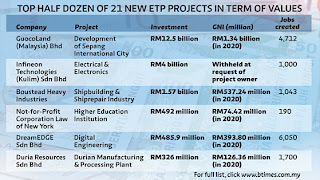 GUOCOLAND (M) Bhd, the property arm of the Hong Leong group, hopes to start in 18 months work on the estimated RM48 billion Sepang International City, which is among the 21 new Economic Transformation Programme (ETP) projects sannounced by Prime Minister Datuk Seri Najib Razak yesterday. It is now in the midst of getting the approvals from both the Selangor and Federal governments and talking to international investors. Managing director Yeow Wai Siaw said investors from East Asia, especially Japan, China and Singapore, are keen on investing in property development here, including Sepang International City. 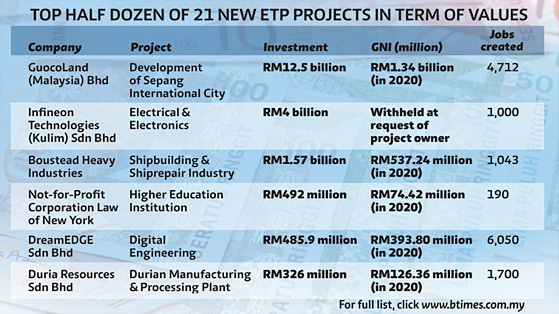 Najib announced the project along with 20 new projects under the ETP here yesterday. “Every developed nation needs a vibrant capital, and GuocoLand is one of the new project owners that will be part of ensuring this,” he said. 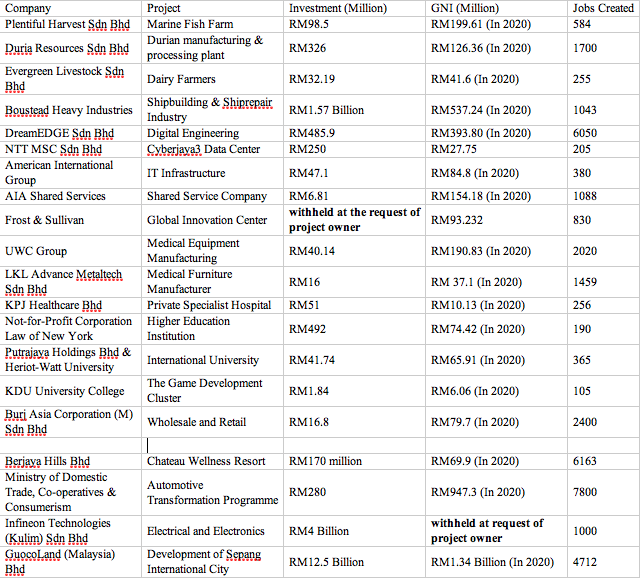 Najib added that GuocoLand has committed an investment of RM12.5 billion in the development of the Sepang International City, which is projected to generate RM1.34 billion in gross national income (GNI) and create more than 4,000 jobs. Speaking to reporters after the announcement, Yeow said the Sepang International City will be a world-class and seafront development stretching across 1,600ha. The development of the integrated and sustainable eco-city with a gross development value of RM48 billion will include commercial, business, residential and leisure development. Another project announced yesterday was the RM1.57 billion committed investment by Boustead Heavy Industries Corp Bhd to develop sustainable competitiveness in shipbuilding and ship repair. "We will start from 2014 and hope to train at least 100 technicians annually until 2020 to meet not just our own requirements but the industry, too," said managing director Tan Sri Ahmad Ramli Mohd Nor. He said the project will involve a plan to move up the value chain of the shipbuilding and ship repair industry by developing local design and systems engineering capability and skilled shipyard human capital. 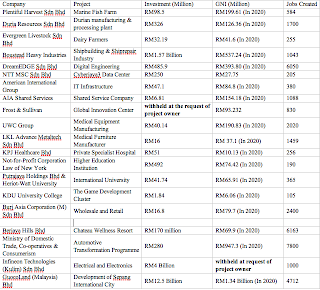 The project contribution to GNI will be about RM537.24 million by 2020 and will create 1,043 jobs by then.